We look forward to a cleaner society, free from cigarettes and made possible by alternative tobacco products like we offer. We provide our customers with a selection of the best e-cigarettes and accessories at a fair price with friendly service. We offer a clean and safe place to conduct business with us and provide a comfortable atmosphere to try our wide variety of vaporizers and e-liquids. With our expert and experienced employees, we will educate our customers and the public on how to use our products and ensure former smokers have the information they need to transition away from cigarettes. The e-cigarettes we sell are not the convenient store e-cigs. Many people have tried the disposable e-cigs you buy at the tobacco stores, ourselves included. Those have a tendency to leave a bad taste in your mouth. Our advice to you, don’t give up! We only sell top quality e-cigs that can be modified to fit every individual’s needs. On top of that, we carry over 250 flavors of e-juice and seven levels of nicotine ranging from zero, for those who wish to be nicotine free, to 50mg nicotine salts, for less vapor and more nicotine punch. We will give you a lot of options. The only reason I gave 5*'s is because I can't give them 17. Seriously, these guys know their products inside and out. 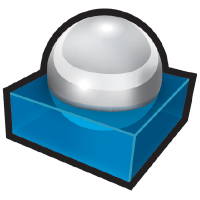 They have great products at reasonable prices and the service is excellent. I bought a mechanical mod. They wrapped the coil and drilled out a few bigger air holes free of charge. My ecig hits better than anything because they listned to what I wanted and masterfully crafted something that fits my lifestyle. Thanks guys! I will return and order a hand made leather case. 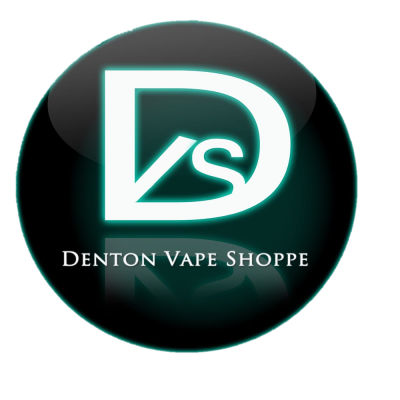 The best vape store in Denton County!!!! Fantastic customer service, fantastic selection of juice..... I won't go anywhere else!!! This business is locally owned and has a wide selection of juice, plus all of your other e-cig needs. The staff is very knowledgeable and helpful, plus you can lounge or play pool while they mix up your juice. Last week I called this place at 7:49pm and the close at 8 I told them I was going to just after 8pm and I needed some juice they were kind enough to stay open and help me get a juice after 8 they ended up staying well after 8 it's hard to find businesses that care enough about customers to waste even staying open an extra 1 minute. Will definitely go back here! Heard about this Vape Shoppe through a friend. She told me it was a local Denton business, the owners are a very nice couple, and they were more than happy to help out a noob (like myself) in the vaping world. When I walked in, I was greeted by both of the owners, told them how I didn't know much about vaporizers, but I was very interested in getting one. She went through several different models and told me the differences between each one. I had a few questions and she was more than happy to answer for me. She showed me some upgrades you could get as well as some accessories for your vaporizer. I ended up going with the Ego-C Twist, which seemed to fit my needs for what I was looking for. After I picked it out, I was able to peruse through all their different flavors and figure out which was gonna be my first one. They have a pretty good assortment of flavors. They allow you to try them out prior to purchasing. I ended up choosing "Peanut Butter" as my flavor and it is still as delicious as when I first tried it. You do get one bottle of the flavor of your choice when you purchase a starter pack. In the end, I would definitely recommend this Vape Shoppe to anyone who likes friendly, knowledgeable owners/workers, wants a friendly experience, and to support your local Denton business! I will be returning here again for my vaping needs. I first picked up e-cigarettes, like most people, in an attempt to quit smoking. After dropping a ton of money on often-unreliable disposable e-cigs, a friend convinced me to invest in a refillable unit and recommended Denton Vape Shoppe, which he'd been frequenting for a few months. He characterized Darin, the owner, as super-friendly and knowledgable, which I instantly found to be the case. I went in with a specific product in mind, and Darin gave me a clear rundown on how to assemble and use it, then offered to let me sample any of a huge assortment of flavors. He explained that the juices come in three base strengths, but that he could custom-mix up or down depending on one's preference. What prompted this review, however, really is the customer service. In a bonehead move the first time I tried to clean the atomizer, I got turned around on the unit and accidentally snapped the wire to the battery connection. I went in, not realizing the shop had just closed, sure that I would have to buy a new one. He stayed open late for me, though, and managed to ninja-solder the impossibly inaccessible wire back in place to get the unit up and running again. He certainly could have charged me for the repair--and probably should have, especially since it kept him there after hours and it looked like he was about to leave for plans with family who were there with him--but he didn't, saying we'd mark this one up as an "oops," while joking about "next time, though..." I've only just started as a customer, but I've been nothing but pleased and impressed so far, and look forward to sampling more of what this place has to offer. I had to rave about this company. That are friendly, knowledgeable, and keep excellent records on their customers. I was in there yesterday and they were able to access my records from a year ago to get me what I needed for a set up I haven't used in a while. All of the guys, and girl, there can do repairs. Love this store, nicest people, and great service!! I have visited a lot of the vape shops in town, trying to find that elusive combination of great products and knowledgeable, helpful customer service. I found it here. Instead of being greeted with a blank stare and a perfunctory "CanIhelpyou," the staff here is actually warm and friendly when you walk in. I had a rather specific flavor and strength request for my juice, and they were happy to help me find just the right custom blend. I guess I've become a "regular," because they know me by name now, and the service is just as warm and welcoming. I highly recommend DVS.